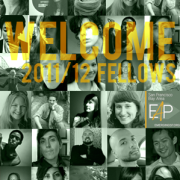 We’re very proud to e-introduce you to this year’s EAP Fellows. Over the course of nine months, this group of 19 arts and culture leaders will dig deep into focus areas including Media, Community Engagement, Business Development, and Information Systems, and collaborate to present the programs of EAP and their own innovative projects. Kathleen Brennan (Z Space), Stacy Bond (KQED, AudioLuxe), Katherin Canton (CCA Center for Art & Public Life, Rock Paper Scissors Collective), Mariko Chang (Cantor Arts Center, JFK University), Karl Cronin (composer-performer), Michael DeLong (TechSoup), Katie Fahey (Red Poppy Art House), Marcella Faustini (NOMA Gallery), Joshua Hesslein (UC Berkeley Department of Theater, Dance and Performance Studies), Sheena Johnson (Zaccho Dance Theatre), Sasha Kelley (C-Proof.org), Esther Manilla (National Radio Project), Lex Non Scripta (Million Fishes Arts Collective), Julie Potter (Liss Fain Dance), Virginia Reynolds (SF Performances), Danielle Siembieda (Zer01, You Are Theater), Alyson Sinclair (City Lights Publishers), Colleen Stockmann (Contemporary Jewish Museum). They join the Leadership Group of Adam Fong (EAP Director; Other Minds), Chida Chaemchaeng (Communications/Marketing/PR Consultant), Bea Dominguez (Zambato Group), Lauren Frieband (Lawrence Hall of Science), and Ernesto Sopprani (THEOFFCENTER). 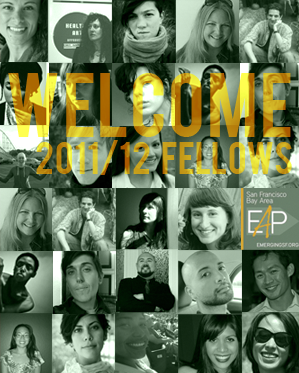 Read more about the Fellows here, and please contact us to suggest future programming and project ideas!